Montreal is second biggest city after New York in North America with the highest concentration of restaurants per inhabitants. 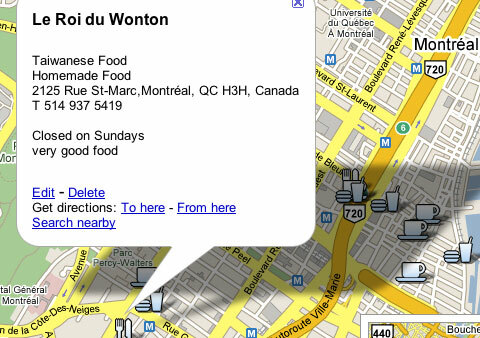 I created the goggle map Favorite Food Montreal indicating my favorite restaurants, coffee places, snack-food places, and more. Enjoy eating out!